I didn't mean to have a blogging break, Life just took over. We are on the move to the seaside. 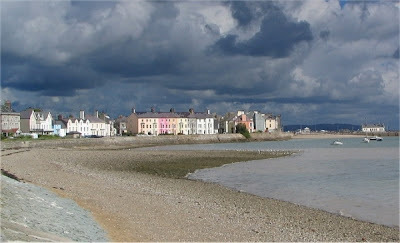 Beautiful Beaumaris in Anglesey to be precise, where the houses are all different colours and the views are some of the best in the UK. 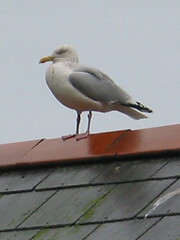 Anglesey is an Island off the North Wales coast. I am opening a studio/gallery there in a converted chapel. My studio will be open to the public where my work and some others will be on sale in the other half of the space. I am pretty excited right now, frantically placing orders for everything from tissue paper and bags to shop counters. I am planning to open late November so watch this space to follow the progress. I apologise in advance if the posts are a bit erratic but bear with me I will do my best. That is it for today I'm afraid, so much to do, so little time. Three little links these made me smile. ..and the gallery space. wow. Congratulations Janet and good luck with all the preparations. How exciting!! That's really exciting news! Congrats!! Onwards and upwards! Anglesey is such a great place. Have you ever been to Llandwyn Island off Newborough Warren? Magic! Wishing you lots of luck with your gallery. Ohh lots of congratulations to you - so much fantastic news!! oh! such great great news! so happy to hear it. Doing a bit of blog surfing...just reading though your blog and found this really interesting as I go here with my kids a lot so I shall be looking out, always good to find something interesting!! !